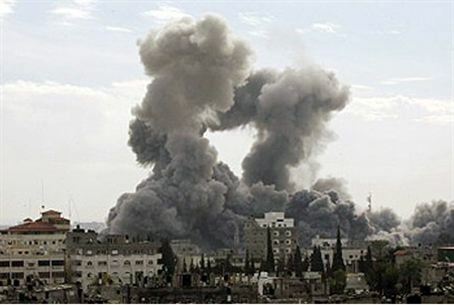 IAF aistrikes hit four more terror sites in Gaza following attacks that have claimed 9 Israeli lives in 24 hours. IAF warplanes targeted two weapons manufacturing sites in central Gaza, and a 'terror activity' sites in both northern and southern Gaza. Hits were confirmed. This attacks were launched in response to the terror attacks executed against Israel in the last 24 hours, which have claimed 9 lives -- 8 in Thursday's successive attacks and 1 in Friday's Ashdod rocket attacks. It is unclear how IDF retaliatory strikes since Thursday's horrific attack mark a change in doctrine from the 'airstrikes for attacks' paradigm that has allowed terror groups to maintain - and improve - their infrastructure in recent years. Without an order for a major operation in Gaza from Israel's political leadership, however, the IDFs is locked into a reactive rather than proactive posture. It is up to the Netanyahu government to prove it possesses sufficient political will to order the dramatic steps necessary to alter Israel's strategic outlook and secure its citizenry.